A couple of weeks ago I received a commission from Julia, the owner of one of the most beautiful holiday cottages I've seen in a very long time. 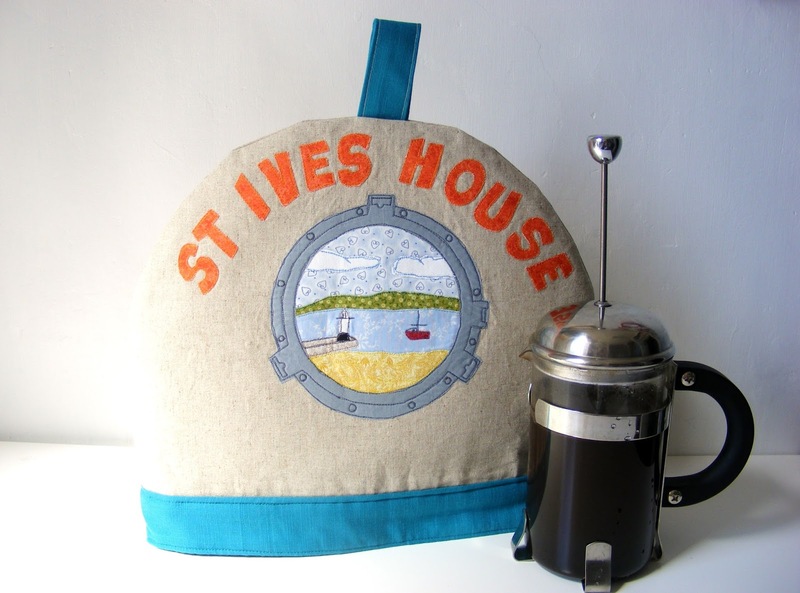 St Ives House has a spectacular harbour front position in the heart of, you've guessed it, St Ives in Cornwall. 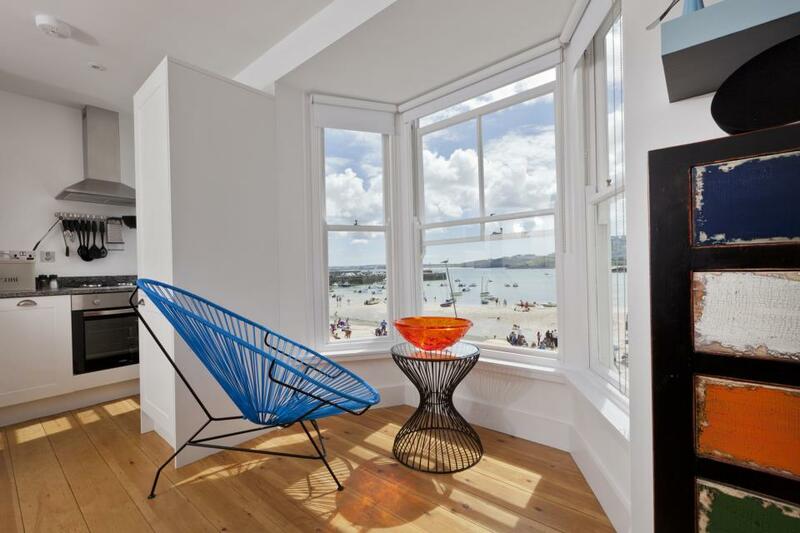 It is a boutique art house with an impressive contemporary art collection which showcases the town's local heritage. I was extremely happy to accept Julia's request for a tea cosy to complement the decor in this stunning property. With her colour palette of orange, grey and teal, we came up with a design that incorporated not only the magnificent views from the house but also the signature porthole which can be seen on the front door and is the official logo for the property. You may be able to see that the tea cosy has a 'turn up' at the bottom. This is to allow it to fit not only a large tea pot, but also a cafetiere when it is turned down. I would heartily recommend that you have a look at this gorgeous house if you are considering a trip to Cornwall. 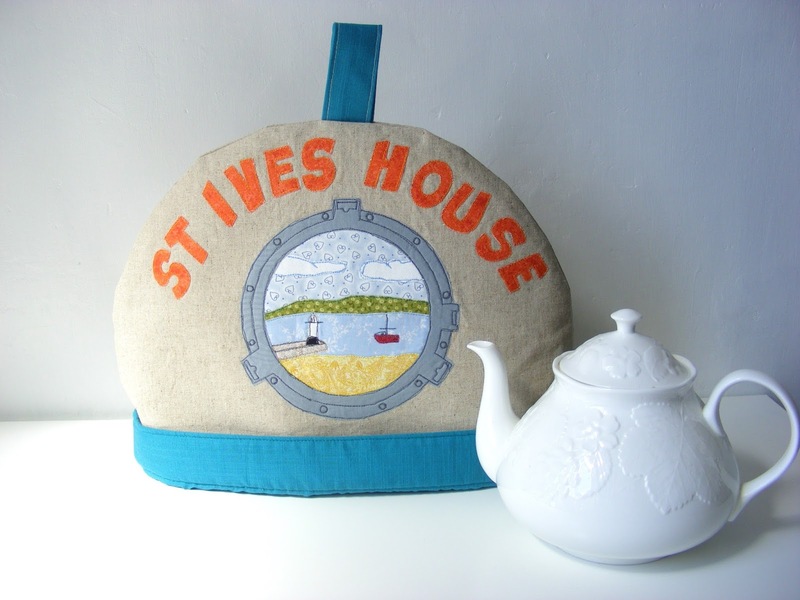 From the customer's point of view, there is a lovely article on Little Green Shed Blog about the blogger's family holiday at St Ives House in May 2015.